Jag Singh, brand manager at Tropical Sun Foods, spoke to Wholesale Manager. Tropical Sun has launched two exciting new sauces to its range, to help consumers tropicalise their barbeque occasions. The brand has added Habanero Ketchup and a Jalepeno Ketchup. The two new sauces successfully merge a rich tomato flavour, with a subtle spicy kick which is magical as a dip with any barbequed. The sauces are perfect as a dipping sauce for any savoury treat, or can also be used to marinate your meat and vegetable dishes before cooking. 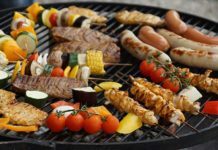 What works particularly well is the troika of the Caribbean barbeque – our Jerk Kit; Jerk BBQ sauce, Traditional Jerk Seasoning, and dry Jerk Seasoning. These three products work particularly well because they are versatile and can help to tailor heat intensity and taste, from a more traditional Caribbean fiery flavour, to a lighter smokier taste. All three can be used as a marinade for meat at any time of the year, including when cooking meat in the oven or on an indoor griddle. 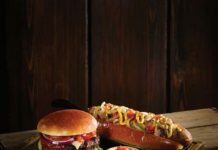 Our Jerk BBQ Sauce is also a dipping condiment, so that even if the weather doesn’t hold up, consumers can still enjoy that smokey barbeque flavour at any time of the year to accompany a snack or meal of their choice. What we have seen more of over the past few years is the trend for experimenting with more unique and exotic flavours. Away from standard meat, fish and vegetable seasonings, consumers are more eager to get tropical. We recently launched a new Harissa Spice seasoning, which offers a North African flavour to dishes. It is proving very popular to marinate meat before barbequing. Additionally, shoppers are looking for the right kind of dipping sauce to accompany barbeque foods. Alongside traditional table sauces, consumers have adopted tropical hot sauces as a standard side of plate offering. This is why last year we launched a new Habanero Ketchup and a Jalepeno Ketchup. The two new sauces successfully merge a rich tomato flavour, with a subtle spicy kick which is magical as a dip with any barbequed. How has merchandising changed the market? Merchandising around barbeque occasions is a lot louder and theatrical. A great opportunity that some retailers overlook each year is Carnival Season, which comes into full swing in early July and culminates on August bank holiday. Large events are held across the UK in cities including Birmingham, Manchester, Bristol, Nottingham and London to name just a few, which are all accompanied by a huge amount of marketing and buzz, which puts Carnival firmly top-of-mind with consumers. More and more retailers have gotten on board with the opportunity which has included branded bays, sales promotions and a real ‘Carnival’ atmosphere in stores. This is helping to establish Carnival as a fantastic sales opportunity for retailers and a great way to generate excitement and buzz amongst shoppers. 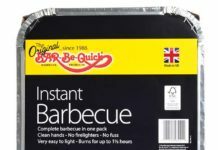 Although affected so much by the weather, BBQ occasions do offer a fantastic opportunity for retailers to uplift sales. The trend in the category is for exciting flavours and convenience and World Foods products like our range of sauces and seasonings tap in to this demand. The trick for retailers is to better understand their customer base and tailor their offering with a mix of traditional as well as more adventurous and exciting products that drive margin and meet consumer demand.